Official synopsis: "Wanted by no one. Hunted by everyone. Sixteen-year-old Nathan lives in a cage: beaten, shackled, trained to kill. In a modern-day England where two warring factions of witches live amongst humans, Nathan is an abomination, the illegitimate son of the world's most terrifying and violent witch, Marcus. Nathan's only hope for survival is to escape his captors, track down Marcus, and receive the three gifts that will bring him into his own magical powers—before it's too late. But how can Nathan find his father when there is no one safe to trust, not even family, not even the girl he loves?" I have to make a massive, MASSIVE, admission here. I put off reading this book time and time and time again. I have actually lost count of how many times I picked the book up, seriously thought about it and opened up the first page, only to change my mind and read something else instead. It wasn't that the premise of the book didn't hook me in. 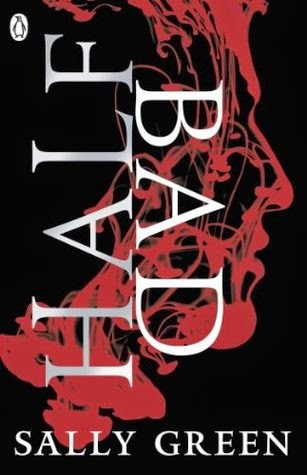 It was my own apprehension, my own fear, that stopped me from reading Half Bad. I have talked many a time about hype and how it is something that can either be a good thing or a bad thing, and that at times it can even put people off of something for fear that it just ins't going to live up to the hype that it's getting. That was me with Half Bad. I wanted to read it, Lord knows I did, but every time I picked it up something stopped me and I don't know why. And now I hate that even more because as soon as I actually started to read the book I was sold. I was hooked so deep into the story that I read massive chunks in one sitting, despite the fact I had work and life. I just couldn't put it down. Some would be turned off by the writing style, which flips between first and second person with such fluidity that it doesn't take any time at all to readjust it just flows so well. I personally loved this, especially once I really got into it. Sometimes I wouldn't even notice a change, I just kept racing on through which is something I loved about the book. It is just such a page turner! It is brutal, incredibly, spine-tinglingly brutal. So much blood. So much violence. And permanent damage - I'm not even going to go into it too deeply because it was something that took me totally and completely unawares and I think it should do that to all readers for it to have its true shock value. Just trust me when I say you will squirm and fidget uncomfortably. I had to put the book down, physically I had to stop reading just for a few moments to compose myself before diving back into it, it was that effective! I also really enjoyed the dynamics between the different witches. The white witches, the black witches and the singular half code, Nathan. White witches are good. Black witches are bad. Half codes are dangerous and need to be tested, watched, analysed. There have been a lot of comparisons to Harry Potter and I get that. Both books are so totally different but I think it's the characters that makes the comparison for me. Both the characters in Half Bad and Harry Potter feel so fully fleshed out, both are epic tales of coming of age despite the looming darkness overhead, even if that darkness comes from within too. I remember hearing Andrew from The Pewter Wolf describe Half Bad as being Harry Potter on acid, and I have to say he isn't far from the truth at all! This book is incredible. Insane. Mind boggling. Powerful. But totally incredible. I don't know what I was ever afraid of! I have to say thank you to Andy, Rhys, George and Ben (the editor of the book...) for encouraging me to FINALLY pick it up! I cannot thank you guys enough and I apologise now for all my "I'll read it later" tweets. Do I feel like an idiot? Err, yeah I do! Luckily I have Half Wild on my kindle so it won't be long before I read the sequel either! Wahoo! My thanks, also, to Puffin for actually sending me the proof copy... a year ago! Damn! What a missed opportunity! I missed out on this big time and cannot believe how bad I feel! This is definitely one of those books that stays with you. I took me a while to make myself read it. Can't see that happening with sequel!